The Waterton Lakes Lodge Resort is one of the newest hotels in Waterton and is home to the Waterton Recreation Centre which houses Waterton’s only swimming pool. 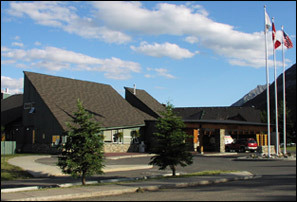 Guests at the Waterton Lakes Lodge Resort can also enjoy Vimy’s Lounge & Grill. 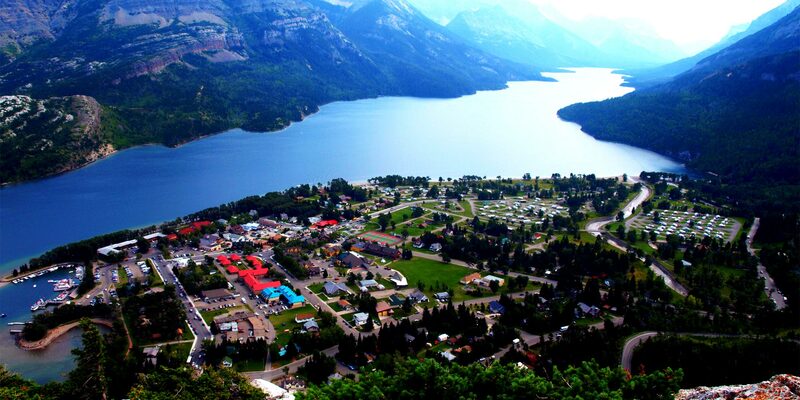 Click here for more information on the Waterton Lakes Lodge Resort. The Aspen Village is one of Waterton’s classic travellers suites, with great accommodation choices for all budgets. Room # 61 is widely considered to be one of the best hotel rooms in Waterton after extensive renovations. Click here for more information on the Aspen Village. Goat Haunt, Montana in the USA is at the Southern end of the Upper Waterton Lake. Accessible by boat cruise or via “the International” hike. For more information on Canada / USA border crossing in Waterton and area please click here. The Upper Waterton Lake has a surface area of just over 10 km squared and at 148 m (487 ft) at it’s deepest point makes it the deepest lake in the Canadian Rockies. A short boat cruise will take you to the Southern end to Goat Haunt, Montana. To do the Crypt Lake hike, one of the Triple Crown of Waterton hikes, you must also cross the lake via boat cruise to the Crypt Lake trailhead. For more information on the Triple Crown of Waterton and Crypt Lake please click here. The Waterton Lakes National Park townsite campground is separated in two by Cameron Creek as it winds its way into the Upper Waterton Lake after coming down Cameron Falls. The townsite campground is only open in the Summer and is one of three vehicle-accessible campgrounds in Waterton. 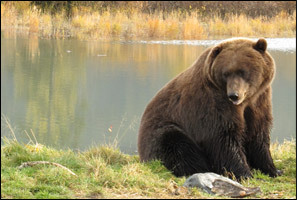 For other Waterton camping related information please click here. The original Pizza of Waterton is now located in the Pearl’s Café building in the heart of the Waterton townsite. The longest running pizza restaurant in Waterton is still the best! Offering Pizza delivery in Waterton and available by pick-up, for more information on Pizza of Waterton please click here. Waterton Lakes National Park offers world class hiking trails and at the pinnacle of the hikes Waterton has to experience is the Triple Crown of Waterton. Crypt Lake, Carthew-Alderson and Akamina Ridge. Visit our Triple Crown of Waterton page for all the information on these wonderful hikes, from trip reports to trailheads. The Waterton Lakes town site is now OPEN. The forest fire which was burning in Waterton Lakes National is now under control and no longer a threat to the town site. The east side of Waterton Lakes National Park is open as well. For more information on open areas and closures, please visit: http://www.pc.gc.ca/en/pn-np/ab/waterton/securite-safety/feu-fire-kenow.